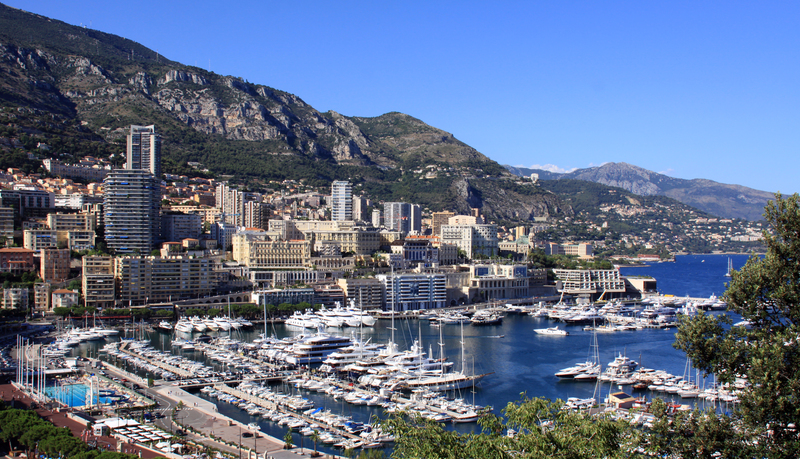 My next stop is Monte Carlo which is an administrative area of the principality of Monaco. It is located between the foot of the southern Alps and the Mediterranean and borders several French villages. The official language here is French but Italian and English are also widely spoken. So what do you do here? Well where do I start? There are plenty of sporting events throughout the year like the Monaco Formula One Grand Prix, Monte Carlo International Show Jumping if you’re in to horses, the Monte Carlo Tennis Masters series as well as Herculis which is an international athletics meeting that happens every July. For music and arts you’ve got just about year round Jazz, Blues, Opera, plays, dance and any other entertainment event you can think of. 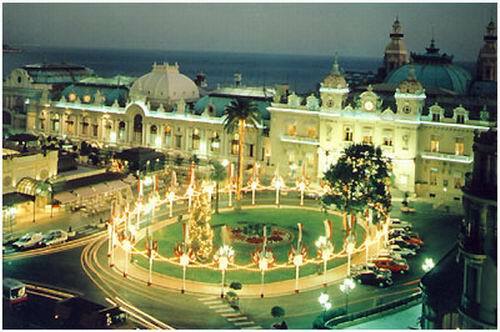 If you want to take in the sights there’s the Prince’s Palace, Monaco Cathedral, and the Monte-Carlo Casino and Opera house where you can not only look but play too. 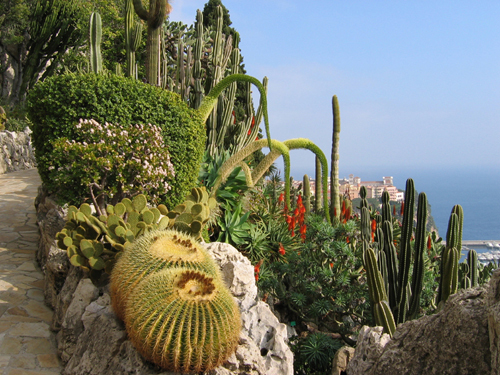 Monte Carlo also has a world renown Exotic Garden (Jardin Ex0tique de Monaco) and it is really worth a visit. The garden opened in 1933 and has a wide variety of plants called ‘succulents’ which are plants that have adapted to dry climates in many ways. Among those plants are, of course, cactus but there are so many others to see as well. (Click here to visit Jardin Exotique de Monaco’s website). So for anyone who is a cactus lover or a son of a cactus lover like me this is a ‘must see’ place to visit in Monte Carlo. Monte Carlo is the second smallest country in the world, after Vatican City. It is three miles long by one and a half miles wide which is about the size of New York City’s Central Park! What’s even more surprising is that even though it’s so small it still manages to have 5 casinos!! Casino de Monte Carlo, one of five casinos in this small country! The names of the casinos are Casino de Monte Carlo, Casino Cafe de Paris, Sun Casino, Monte-Carlo Bay Casino, and last but not least The Gaming Area at La Rascasse! So no one can say there’s nothing to do here! Monte Carlo is also known as a playground of the rich and famous. Among those that live here are ex-Beatle Ringo Starr and his actress wife Barbara Bach, Jean-Claude Van Damme, singer Luciano Pavarotti, top model Claudia Schiffer and fashion designer Pierre Cardin. Many celebrities visit here regularly which makes for great sightings while having a coffee and people watching. There are also many museums and gardens to explore while you stroll around the city. It’s a beautiful place to explore, have fun, and spoil yourself in the lap of luxury.